A full Moon occurs when the Sun and Moon oppose one another. 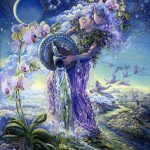 Full Moons always speak to the nature of relationships – the need to balance opposites and to more fully integrate masculine and feminine energies. 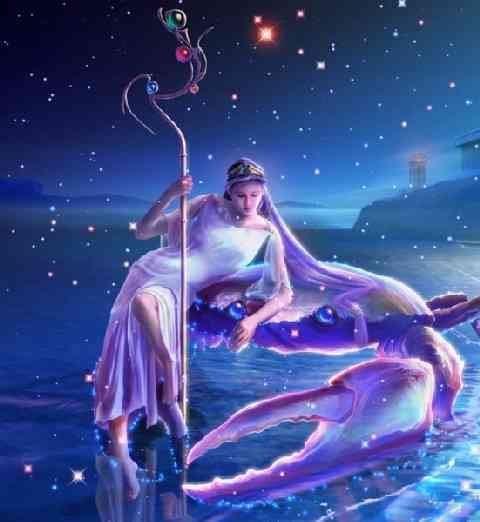 Under this full Capricorn Moon, what we have to work with are the opposing energies of Capricorn and Cancer. 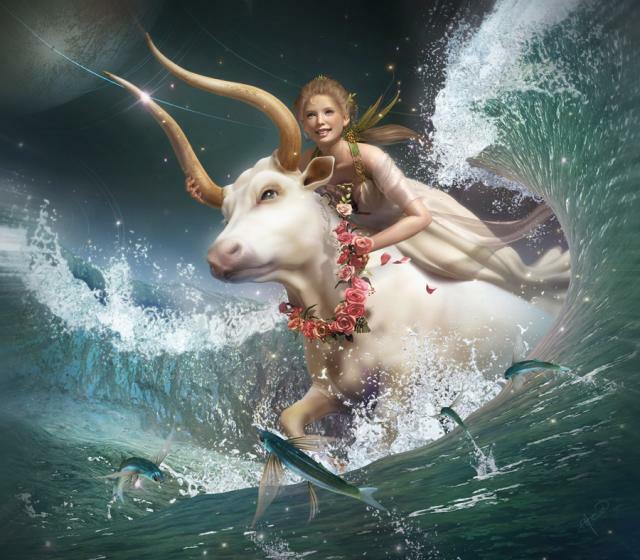 The energy of Capricorn is focused, determined, and guarded. A harshly realistic approach to life guides successful action. 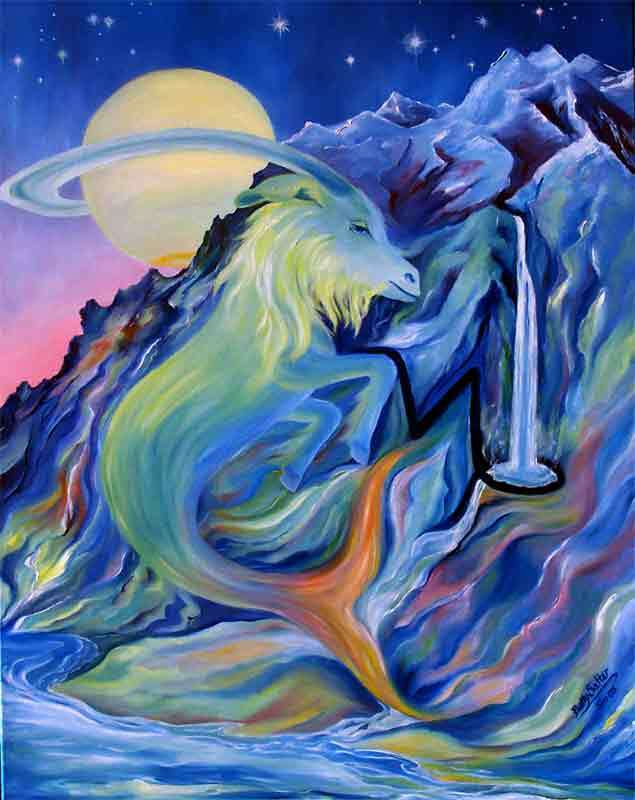 In Capricorn’s world warm and fuzzy can seem frivolous and not well-respected. 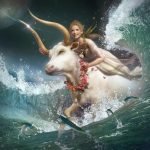 In relationships Capricorn energy contributes realism, integrity, distance, and a degree of chilliness. Cancer’s all about warm and fuzzy – actions guided by sensitivity and an instinctive need to feel safe and secure. The past is cherished but change feels constant. Letting go and moving on is a challenge. 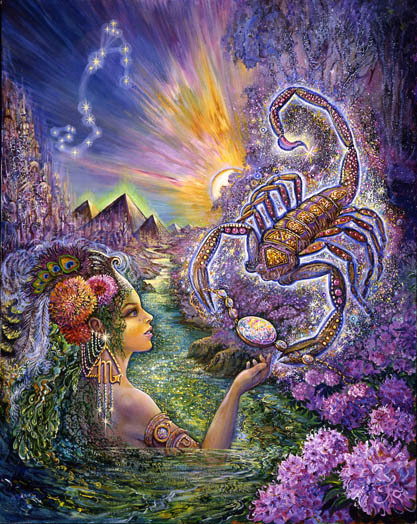 Cancer’s world is seen in a subjective “mood of the moment” light. In relationships she infuses warmth, nurturance, comfort, and whatever promotes closeness, familiarity, and safety. She tends to warm things up. 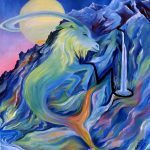 The challenge at a full Capricorn Moon is to work with these opposing energies in ways that facilitate a better balance. Change is inevitable. Letting go of the past and past tendencies enables you to successfully navigate harsh realities. Sensitivity to instincts and the delicate longing of the soul connects you with yourself and moderates your approach. 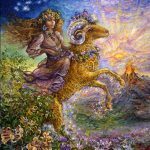 Under a Capricorn Moon a realistic appraisal of your circumstances and a focused, determined effort to make your future what you want it to be, is encouraged. Whining is ineffective and best transmuted into a willingness to weave delicate soul longings into your vision for the future. 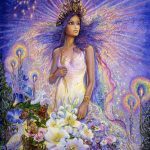 As we enter the emotional field of the August 21st total Solar Eclipse, it seems that women may be pressured to integrate a more self-serving, self-respecting, determined, unapologetic approach to success. A dawning awareness has men softening to the option of integrating their kinder, more nurturing, instinctive tendencies. It’s all about balance, finding that sweet spot, and keeping yourself in the zone. 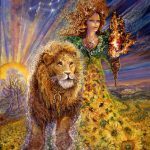 Surviving and thriving under the impending eclipse seems to depend in large part on the adjustments you’re able to make over the next few weeks. This Capricorn full Moon is closely aligned with Pluto. It’s truly transformative or deadening depending on your perspective and the choices you make. Capricorn can be unforgiving and harsh. This isn’t the best Moon placement for anyone who insists on clinging to the past. 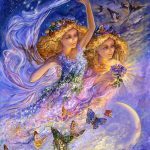 The closest aspect in the full Moon chart – usually indicative of the most important message and challenge – is the Jupiter/Neptune inconjunct. 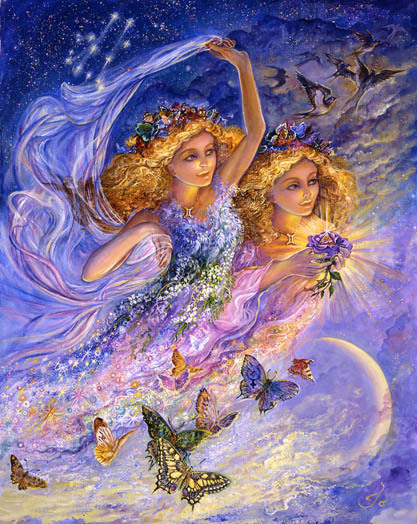 The key word for inconjunct is adjustment – not minor tweaks around the edges, but big, fundamental, realignments. 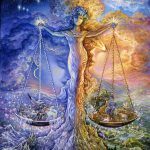 Jupiter in Libra gives the tendency to want to over-compensate over-compromise, to smooth things over, to keep it civil and nice – to not “rock the boat” no matter how imbalanced and intolerable the situation becomes. 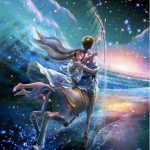 Neptune in Pisces has a tendency to avoid and evade, to slip into martyrdom and self-sacrifice – a complete distortion of feminine energy – rather than taking control and pushing back. Under a full Capricorn Moon, avoidance doesn’t fly. What’s been avoided can no longer be – actually it can if that’s what you choose, but it doesn’t seem wise. 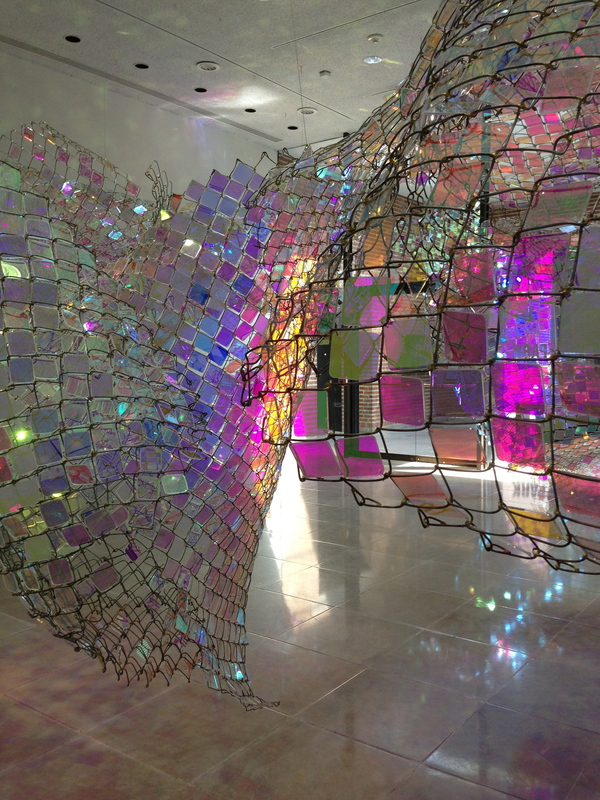 The unfolding cosmic set-up looks unforgiving. Capricorn can be very unfeeling as he delivers consequences for pretending he (reality) doesn’t exist. He’s the vengeful guy in the movie that steps over dead bodies without flinching. It doesn’t have to be that way. This full Moon comes in the form of a a merciful wake-up call for change. It’s a good time to feel whether you err on the side of too much masculine or too much feminine energy – and to integrate more fully whatever’s in short supply. As you make some temporarily disorienting corrections, the boat might rock, or it might sink, or it might find it’s way back on course. If not you can swim or float to shore. Either way, with a move in the direction toward something more balanced, it’s likely you’ll find your way home. Action can now be taken to correct the past. If you were denied what you wanted, what you most loved, and what brought you the most joy, it may be time to come to terms with the fact that you’re grown up and can provide for yourself. You’re the one you’ve been waiting for to give you what you most desire. 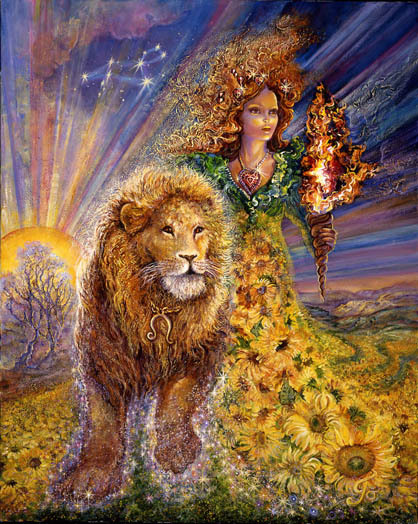 As you begin to realize the full measure of your creative capacity, how loving and healing you can be, the broad range of talents you possess, and how alive, despite all you’ve been through, the child-within actually is, you’ll feel the urge to protect her. She needs more attention as she begins to thrive in unprecedented ways. Your responsibility is to encourage her. Past pain and a highly sensitized nature can now be transmuted into the fuel you need to make yourself happy. Past liabilities begin to feel more like assets. You’re in charge. You’re all grown up. If you want something give it to yourself. This is not the week, or the month, or even the year to withhold what could bring you joy. You’re the provider. Time to provide. Taurus travels through uncharted paths, into unfamiliar territory, onto detours they couldn’t predict, and into the unknown, to find where they can rest in the arms of someone who is free to love them in the most intense ways they crave. This is the essential definition of your life’s quest. To be heroic you must be brave and you must be visionary. It’s your path to design a vision for your future that is so compelling it overwhelms any current fear you feel. A focused, determined, willful, non-negotiable commitment to manifesting your vision – whatever that takes – is required. Self-respect, entitlement, pride, admiration, and the unapologetic desire to place the full spectrum of your talents on display is encouraged. Observe those who do not waiver in their commitment to achieving what they want while accepting with pride the credit they feel they deserve. In the interest of balance you may be wise to take on some of the masculine characteristics you find most undesirable in others. And it might be easier than you think. 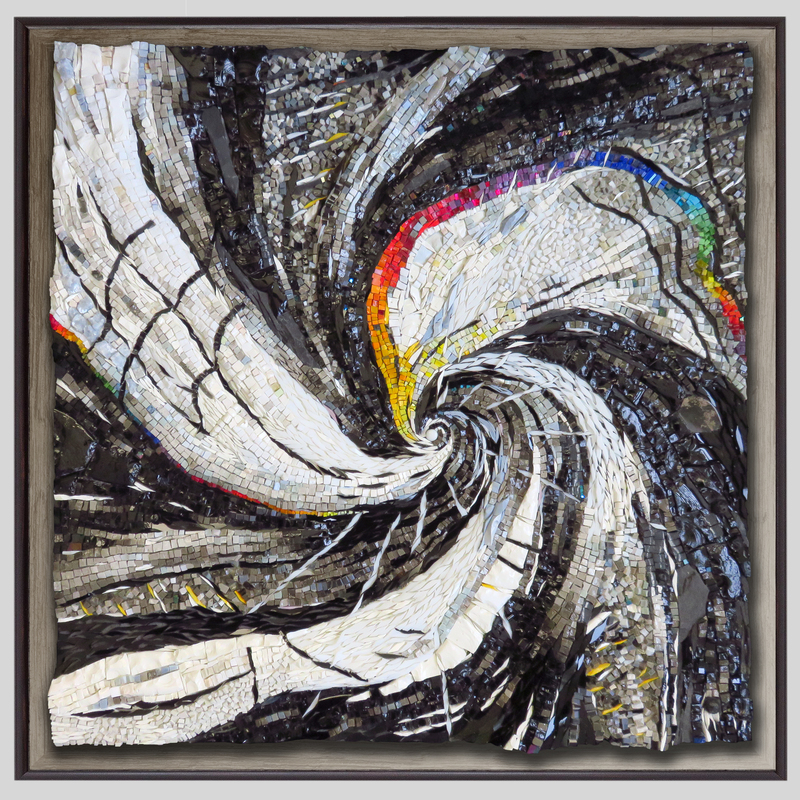 I usually promote what comes naturally – organic unfoldment, evolving needs, what feels right, etc. But this week I’m promoting the opposite. The most promising projects and life directions seem to entail a willingness to step outside the bounds of what feels natural and familiar. That seems to be the case especially if your intention is is to assist in the protection of something that’s fragile, delicate, and vulnerable to predators who like to destroy what’s easy to destroy – something priceless and irreplaceable. You may have to muster up the nerve to be the grownup when it comes to yourself. You may have to reject your own excuses to do what feels more comfortable. You may have to hold yourself back from appeasing your fears as quickly as possible. Ignore the naysayers and protect yourself from those who would gladly tell you what you most want to here. Your job is to hold your own feet to the fire and to persist in a direction that forces you to integrate a better sense of balance and a more integrated sense of self. It’s a way regain the power you gave away when didn’t know better. Who cares what other people think. You, though, may have a history of having to take that into consideration. But at this point in your evolutionary journey it’s a habit too that’s simply to destructive to continue. 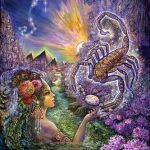 Mars in Cancer in your first house is an indication that passionate feelings need to be protected from those who would find them uncouth, inconvenient, or frightening. It’s time to be exuberant and impassioned and excited and fully awake. Think of yourself as the adult in charge of protecting what is beautiful and vulnerable within you. It’s not anyone else’s job. Don’t expect others to do it and don’t pre-suppose you will be squelched. I’ll defer to you as to how best to protect yourself. But if you’re thinking you should tone it down because it would be easy and you know how to do that, bring in your most authoritative, insistence, threatening if necessary, self to set yourself straight. You deserve to be impassioned at the moment. And protecting yourself and your feelings feels like some kind of preparation for the near future. Leo’s aren’t thrilled with criticism from others. But they may be especially receptive this week to something they need to hear. It will be a “double reverse backflip” kind of receptivity, though. That could take the form of a criticism that feels freeing rather than insulting. Or it could be the kind of criticism you know you don’t deserve but you know someone who does so you can use it. Or it could be an off-handed comment from someone who had no intention of criticizing you but what they said “hit a nerve” and forced some kind of self-improvement. It seems there is something mysterious and especially prescient about what those in authority deliver to your door. Even if they don’t know it, others are serving your need to be better, more balanced, more fair, more integrated, and more you. You’ve released a lot of bad habits over the past couple years. Now you’re own the home stretch and the cosmos seems to be paving the way for a spectacular grand finale. Virgos are notoriously humble and modest. But this is no time for that. It’s time to take the pragmatic approach to tooting your own horn – loudly. If you’re applying for a job or writing your resume you must be very clear on the impressive nature of the skills you could provide. Being willing to be the adult in the room to ensure that the child was protected and encouraged may be one of your most outstanding attributes. But truly it’s time for you to shine and it’s time for you to lead. Playing down your assets could be considered a disservice to those who want and need to be led. In the community your role may take on the flavor of a professional nurturer. It’s a role you’re impeccably qualified for. 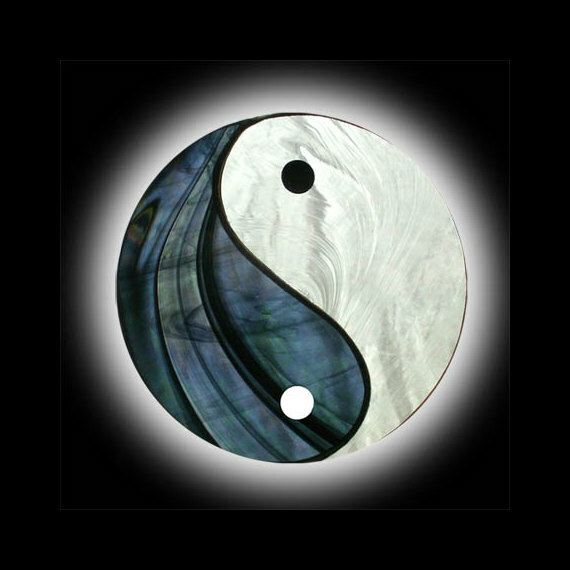 A return to balance and a more integrated sense of self involves an evolution and an unwavering sense of self-respect. Diminish any influence that seeks to diminish you. Stand up to bullies and stare them down. Think in terms of proudly serving yourself first for everyone’s sake. It’s possible that the responsibilities you’ve traditionally shouldered to keep things safe, secure, and stabilized may no longer be necessary. 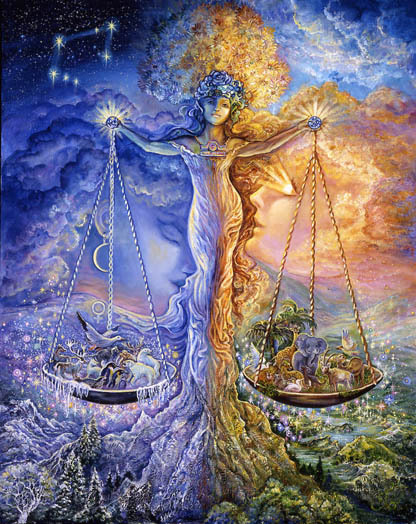 Letting go of some of your responsibilities as you define them may force a correction that brings the scales back into balance. You may now have the freedom (or pressure you need) to advance and expand your role in the world. Making things more fun for yourself is not the frivolous consideration it may seem to be. A happy productive, secure life may now hinge on what you believe to be a responsible approach to life. If a more respectful approach to yourself, your creative ambition, and your desire for love and beauty seems beside the point, it may be time to examine long held beliefs and how you acquired them. The world is waiting for you to contribute what only you can contribute. That’s usually defined as a kind of work that feels like play. If what you choose moves you closer to home, to the community you love, and to some past influence that encouraged a playful approach to life, that seems healing, balancing, and potentially very promising. 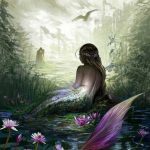 This full Moon brings the Vertex and Venus into conflict – an indication that an old pattern of dividing yourself in half, of operating on two different tracks, telling yourself only the stories you wanted to hear, whether or not those conformed to reality – is separating you from your most cherished dreams, maybe a few friends, or a lover. What you say and how you feel may be at odds. What you want and the actions you take may conflict. At root may be old pressures to conform to what essentially felt meaningless to you. Your task is to clarify and conform to your own philosophy of life. The adult in the room needs to be you. Move away from those who overpower you. Move toward those give you the freedom and encouragement to develop your own thoughts and beliefs. Resist anything that’s feels forced on you, and correct anyone who assumes you agree when you don’t. The truth is that your priorities may be very different from those who seem or pretend to know what they’re doing. Agreeing to engage in something transformative that resembles a return to balance, is your task this week. The way you “do” transformation most naturally is to immerse yourself in the past, to review the harsh realities you refused to face, to define where you were too sensitive to be effective, too attached to old pain to be confident, too kind to push back strongly, too skilled at slipping into helplessness to reject that role when it was repeatedly offered to you. You may have been too financially dependent or fearful to choose independence, and too imbalanced to have a realistic perspective on who you were. It seems you may be in the process of feeling what it’s like to be independent and assertive on your own behalf. Self-respect may be gaining ground. If you’re more willing to be alone when relationships require for their sustainment a diminished version of your fiery self you’re on the right track. A cherished dream may have depended upon the diminished, imbalanced version of yourself for its achievement. Clarify where you stand on that now and what needs to be more fully integrated within you. If you’re feeling more entitled and demanding you’re on the right track. For everyone the issue now is a return to something balanced. But for Capricorn this seems to be doubly emphasized. If you haven’t yet noticed a change in the way you assert yourself in the world, I think you soon will. But if you have it most likely comes from one of two directions. Either you’re compromising when you used to insist on having it your way or you’re demanding something more when you used to pretend you were satisfied – or some version of that. Capricorn is not known for flexibility but something isn’t working as well as it used to. If I had to guess I’d say there’s been a weakening of the passion you used to feel for achieving a specific goal or for a life direction that felt more fulfilling that it now does. Subconsciously you’ve evolved. Old ways of asserting yourself have been outgrown. The usual carrots and sticks aren’t as motivating as they used to be. It seems you may be open to new possibilities that would require a better balanced, more integrated sense. Primary relationships give you valuable cues as to what further adjustments need to be made. 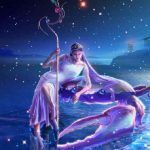 Aquarians may be a little OCD these days with Pluto, the compulsively obsessive planet, transiting your 12th house of subconscious drives and ambition. Intrusive thoughts that reflect a one-pointed focus can be a real asset if you’re trying to manifest an ideal situation or cherished dream. The nature of the Cosmos under this week’s Capricorn full Moon is aligned to make this more possible. There’s a fine line between OCD and intense focus. What makes one helpful and the other undermining is the nature of the object of your focus. So an ideal situation that integrates what your spirit loves to feel – your ideal home, your ideal family, a place that stimulates deep connections, where like-minded people surround you, and the spirit of the past feels familiar can be effectively cultivated this week. Insist on being obsessive about your vision. 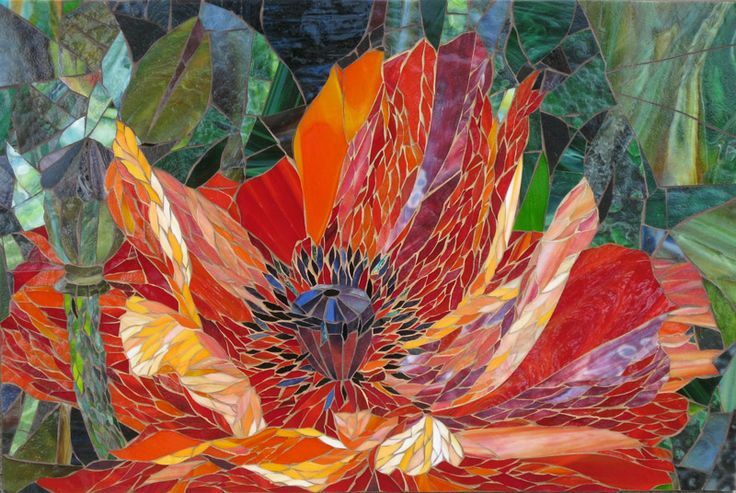 Find images that reflect your ideal – write about it, dream about it, and obsess about it. And, for the sake of yourself and the world, commit to bringing it into being. Something previously oppressive seems to have run it’s course. Something that put a lid on the amount of joy you could experience is weakening. It’s played and overplayed its hand and now there seems to be a breakthrough. What seemed like a long shot or impossibly difficult to achieve may now be an option. 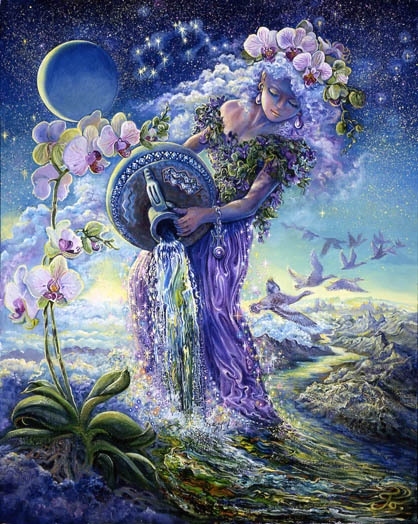 More than anything, to feel happy, Pisces needs to feel that she’s at home, that she’s found the place that resonates with her soul, that she feels mysteriously connected, a full member of the tribe to which she belongs, safe, secure, and comfortable. That, like almost everything for a Pisces, can feel elusive and out of reach. But there is an opening. It may be time to move or to consider a move. Relationships evolve as you evolve. You may gain some clarity this week regarding your future direction. Whatever it is it seems to promote a connection with what feels like your true home, your true family, and your true love.